This is a digital tutorial only. No jewelry or beads will be sent. You will receive a PDF file. 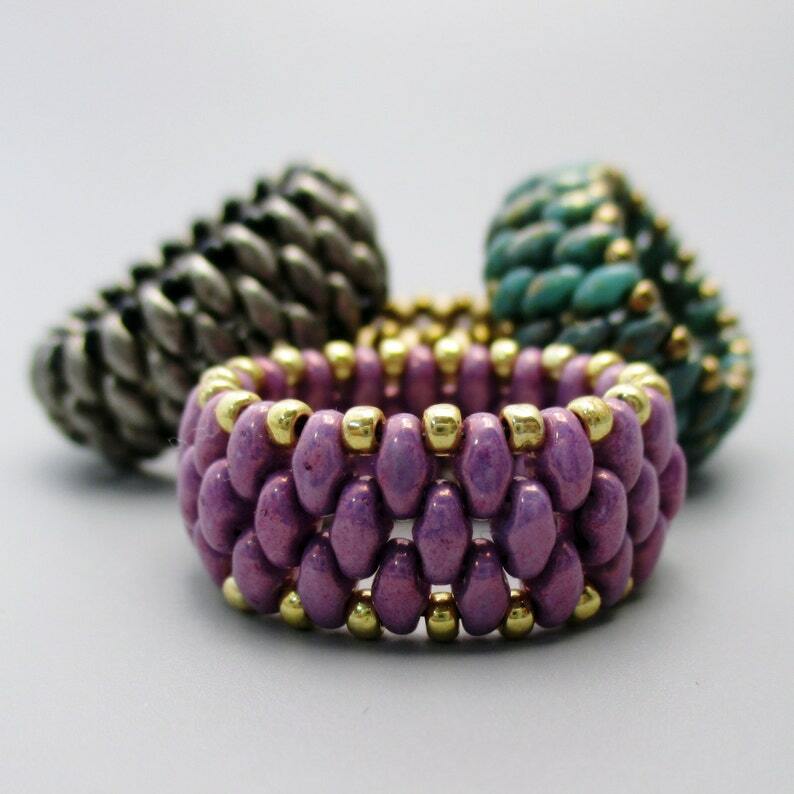 Make your own ring from Mini Superduo beads! This ring is both sturdy and beautiful. Make it today, wear it tonight. This project should take only a short time. Tutorial contains text instructions in English and pictures illustrating each step. It is suitable for beginners to advanced. Materials need are Mini-duo beads, size 11 seed beads, and 10 lb. Fireline thread. If you have any questions while making the project, send me a message. I will answer right away. copyright 2016 Bead Street Studio. Please do not reprint, give away, sell, or post on the internet all or any part of this tutorial. You may feel free to use any items that you make from these instructions to give as gifts or to sell as long as you make each item by hand and do not use mass production. Thank you.